Chia Seeds have a mild, nutty flavor, making them a delicious addition to many foods. 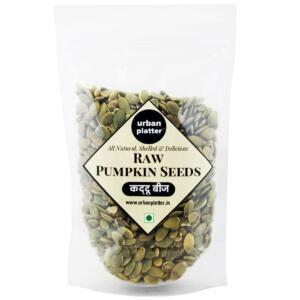 Don't judge food by its size, these tiny super seeds are packed with essential nutrients like protein, fiber, iron, and omega-3 fatty acids. The word chia is derived from the Nahuatl word chian meaning oily. 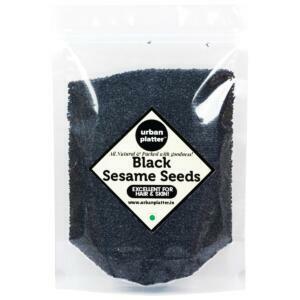 You get 10 sachets of 15g each. Sprinkle chia seeds on cereals, yogurt or salad, try mixing chia into bread, bars, and smoothies to give your foods a nutritional bonus or add to homemade granola bars and crackers. 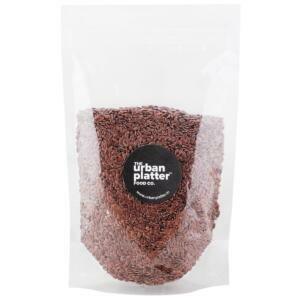 Urban Platter Chia Seeds Sachets, 150g / 5.3oz [Omega Rich, Heart-healthy, 10 sachets of 15g each] Don't judge food by its size, these tiny super seeds are packed with essential nutrients like protein, fiber, iron, and omega-3 fatty acids. Chia is an annual herb also known as Salvia Hispanica is a species of flowering plant in the mint family, Lamiaceae native to central and southern Mexico and Guatemala. The word “chia” is derived from the Nahuati word chian meaning ‘oily’. Chia seeds can be black or white( brown indicates that the seed is unripe). There is no difference nutritionally. They have a mild, nutty flavor, making them a delicious addition to many foods. 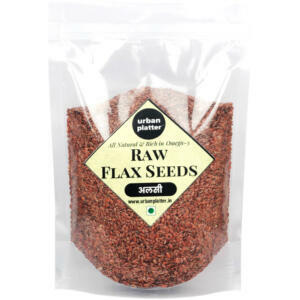 Interesting fact Did you know that the Aztecs boast the first record of Chia as early as 3500 B.C. In fact, one of the main foods in the Aztec diet. 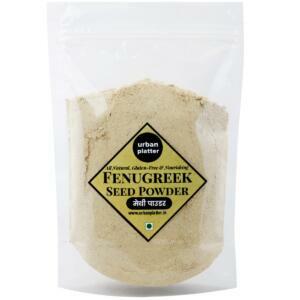 Ancient warriors attributed their stamina to this tiny seeds. Their tribe is famous for their runners. These runners used to drink a mixture of chia seeds, lemon and water called Iskiate. After drinking this, they are said to be able to run hundreds of miles. 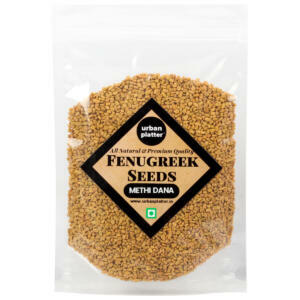 Health Benefits Promotes Weight loss High in fiber Energy Booster High in omega-3 fatty acids Gluten-free Super food for expectant mothers How to Use / Directions Sprinkle chia seeds on cereals, yogurt or salad. Try mixing chia into breads, bars and smoothies to give your foods a nutritional bonus. Add to homemade granola bars and crackers. The word chia is derived from the Nahuatl word chian meaning oily.